TOWNSVILLE-BASED stevedore Northern Stevedoring Services (NSS) has acquired Mackay equipment hire company S Colborne in a deal understood to be worth about $10 million. Announcing the deal, NSS general manager Todd Emmert said NSS saw the acquisition as a perfect fit for the company’s expansion plans and ability to control all equipment supplied to its stevedoring business. NSS has been one of S Colborne Equipment Hire’s largest clients. “S Colborne Equipment Hire has been working with NSS for the past 10 years and we see the acquisition as being instrumental in providing a quality end-to-end stevedoring service to our clients,” Mr. Emmert said. He said the business strategically was part of NSS growth plans in managing the process for customers from stevedoring through to warehousing and delivery. 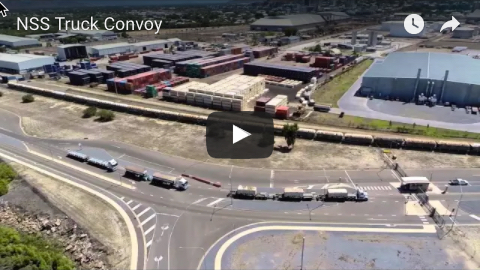 “It enables us to further integrate with our customers further up the supply chain in the port precinct,” he said. “By having total ownership of our mobile equipment fleet, the acquisition ahs the potential to help NSS realize savings, reduce down time and increase productivity. The business will be run by long-term NSS employee David Price. 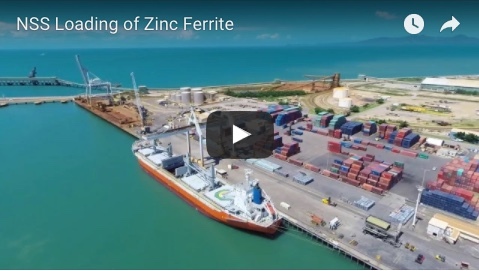 S Colborne provides excavators and other equipment to shipping and port industries at Mackay and Townsville, with the largest component of its business at Townsville port handing goods such as nickel ore for the Yabulu refinery. NSS, a private company with shareholders including Xstrata Copper and P& O Automotive and General Stevedoring, has operations at Townsville, Cairns, Gladstone and Mackay. Formed in 1971, NSS is the only integrated stevedoring and supply chain service in the region.